A statement made by one of the commentators is that Mini, Snow and Rain are three current generation protoss players that will supposedly lead the race to prosperity. While there's no doubt that the map pool has likely played a factor in the race distribution of the quarterfinals, there is also little doubt that these three players deserve their spots with how well each of them has performed this ASL. There was also a sentiment that was passed around during the end of the quarterfinals after Flash was defeated. That the age of Snow has finally come. But in order for a player to claim greatness, they must also be able to overcome their limits and surpass their comrades. With Snow facing off against Rain, many anticipated a crazy series while others decided to just tune out, waiting for the results of their bout. In all, the series delivered. There were some games that could've been better, but both players fought tooth and nail for supremacy. If you want all the juicy details, read on for the finals recap. With ASL5 finished and coverage concluded, we'd like to thank all our readers for their time and all our contributors for their tiresome effort. Hand in hand, our passion and love for BW can only help the game reach unimaginable heights! 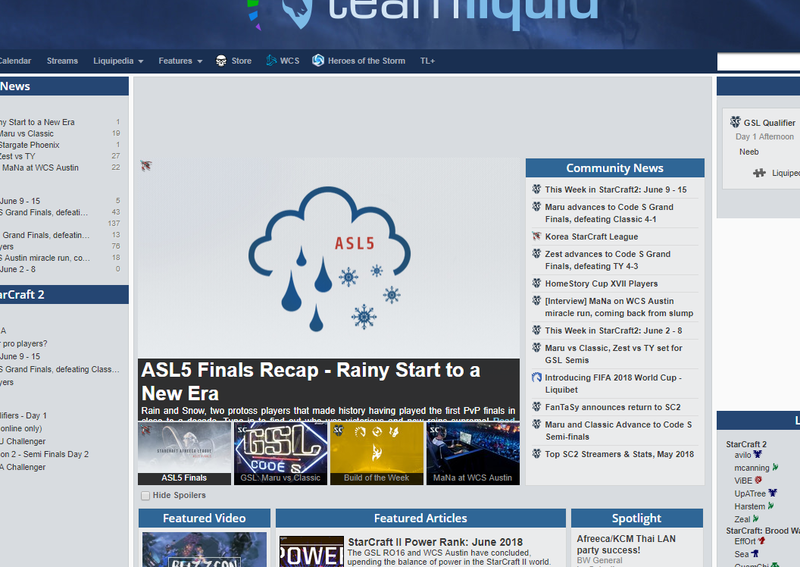 It was another beautiful day as both Snow and Rain faced off against each other to determine who will be the ASL5 champion and get their name added to the history books. Will it be Snow, the player who stopped Flash's advance or Rain, the player who beat the other ASL finalist, hero? One thing was certain, this was the first PvP finals in a really really long time! Both players opens up with a similar build, gate cc before Snow diverts and adds a second gateway while he was scouting around Rain's main. Rain himself opts for a robo after killing Snow's probe and adds another gateway. Sensing an opportunity, Snow puts down an expansion, but finds himself pushed back by Rain's army with his nexus in danger. In the mean time, Rain secures his own nexus. Snow eventually pushes Rain back, but not before losing his only reaver and getting his nexus down to yellow hp. Still, the game stabilizes as both players macro up some more. Rain decides to go on another offensive, but up against the solid micro of Snow, he has to withdraw and regroup at his expansion. Snow tries to counterattack, but Rain's position is too solid and he's forced to retreat. After some more peace and quiet, a large engagement takes place. While both players lost a large chunk of their army, Snow takes the supply lead and sets himself up nicely for the late game (pic). Some attempts at drops are thwarted and Snow ends up trying to take his own third at the bottom right corner while Rain's third base was denied by some zealots dropped on the high ground on the third world. With templars and storm on his side, Rain moves in and pushes Snow's army while simultaneously denying his third. More engagements take place as both players are near starvation and trying to establish a third base. Slowly but surely, Rain brings the game back, chipping away at Snow's army at every opportunity and even killing lots of probes with a double reaver drop at Snow's expansion. With his third mining and the supply count slowly starting to equalize, Rain moves in for the kill, sniping a reaver and eventually finishing off Snow before his own economy can start kicking again. Deciding to try something interesting, Snow opens with gateway first and adds 2 proxy gateways outside the northern exit of Rain's base. On the other hand, Rain goes for gateway first into nexus and defends Snow's zealots while trying to figure out what's going on. As soon as his probe gets a quick look at the 1 gateway and lack of nexus, another probe is sent out and discovers the proxy gateways. Realizing his predicament, Rain opts for a shieldbattery, adds 2 cannons and blocks his entrance with some zealots. With a better economy and the proxy attack defended, Rain decides to send his 2 zealots towards Snow's main while he tries to minimize probe damage from the 3 zealots moving around his base. His 2 zealots manage to catch a mostly naked base and get several probes as well as deny mining. From there, the rest was history. Rain establishes a third, keeps up his advantage by denying Snow's third and stopping a double reaver drop into his expansion with minimal damage before moving in for the surround and kill. Snow decides to change things up attempting a 1 gate cc nexus before adding 2 more gates while Rain decides to play safe going for 2 gate robo for observers. Snow does a great job of denying scouting, forcing Rain to get a later nexus than he would've liked. As both players continue macroing up, the difference becomes more apparent. Snow's positioning was also fantastic helping him snipe 2 shuttles heading to his main. Of course, Rain decides that he doesn't want to be outdone so he snipes one of Snow's shuttles as well. After some positional battles, Rain catches some of Snow's goons however, that was his end as Snow decides to attack from several angles with a superior concave and a supply lead that allows him to crush Rain's army. With his army gone, Rain gg's and Snow finally wins his first game! Can he bring it back? With Sparkle finally in action, Snow once again opts for the economy advantage, going for a nexus first while Rain techs to a stargate before adding his own nexus. However, despite having an eco advantage, Snow ends up with a later stargate and this allows Rain to establish air dominance. In turn, this allows Rain to keep tabs on what Snow is doing, helping him deny drops and scout for any hidden expansions. Almost as if he was copying Mini, Snow ends up stranding his only reaver on an island mere moments before Rain double drops his expansion with a reaver of his own. The expansion is lost and though it looked liked Snow would finally get some air dominance due to his superior stargate count (3 to 2), a mistake with his focus firing saw all his corsairs evaporate, allowing the rest of Rain's corsairs to dish out a lot of damage. Rain also scouts the hidden expansion with a single corsair and moves in to kill it as soon as possible. Trying hard to stay in the match, Snow goes for a risky reaver drop, but it doesn't yield as much as he hopes. Another reaver drop also bites the dust despite Snow finally establishing control of the skies. With his expansion gone, his fourth in tatters (inbase taken as third) and his resources running low, a double drop from Rain causes even more damage, putting the ASL trophy out of his reach. Don't ask me why it's messed up! With that, Rain takes the finals, becoming the second ASL protoss champion after Shuttle! The age of Rain is upon us! The snow blotted out the flash, but the rain melted the snow. It was really exciting to see a match played outside a studio. Thankfully it neither rained nor snowed. I think Rain is a great player, but it is no coincidence that with Bisu gone and a stacked map pool that we saw the success of 3 very talented protoss players. I think ASL6 is where protoss players will have to shine if they want to prove they are natural successors in the protoss line, assuming a more balanced map pool. However there will always be a huge astrix considering Bisu went into the army with an 88.5% winrate in PvP and is indisputably the best PvP player in the post kespa era. Is the age of Flash over, or did it just take a commercial break? Huh? The SC64 colors aside, that last gif made no sense. All that build up for it to start all over again? Considering Flash just got himself 2 more golds, I'd say the latter. Thank you for the awesome write up! I for one enjoyed this finals. I just hope for fewer weather puns next season. When and where? It's not saying anything on his Liquipedia page. The word you're looking for in the title is "precipitative"
Thanks for the comments! The finals weren't too shabby imo. We still got to see back and forth games. Rain's macro too strong! I would personally like to see Flash vs Rain, vs Snow and vs Mini all on (mostly) standard maps to see if they can eliminate him or not. 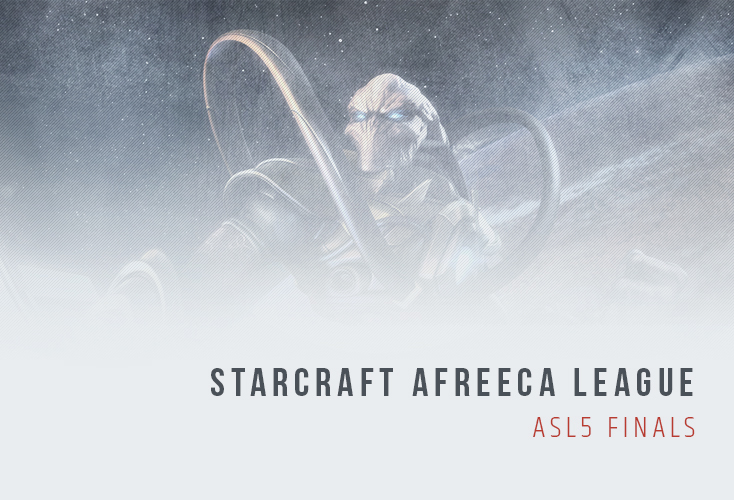 Hopefully we see Flash get more protoss in the upcoming ASL. Who's Bisu? That guy who got crushed by Flash in ASL4 and can't play late game PvT? it was supposed to show the march of the reaver, but the duration was too long to make a gif so I had to cut it short unfortunately. if hero leaves for the military, Flash will get a chance to qualify in the wildcard matches, much like Rain did when Bisu left so he may not have to do the qualifiers again. I would prefer that he does though. We all should blame hero!